Turns out the snowmagedon snow is perfect snowman making snow. 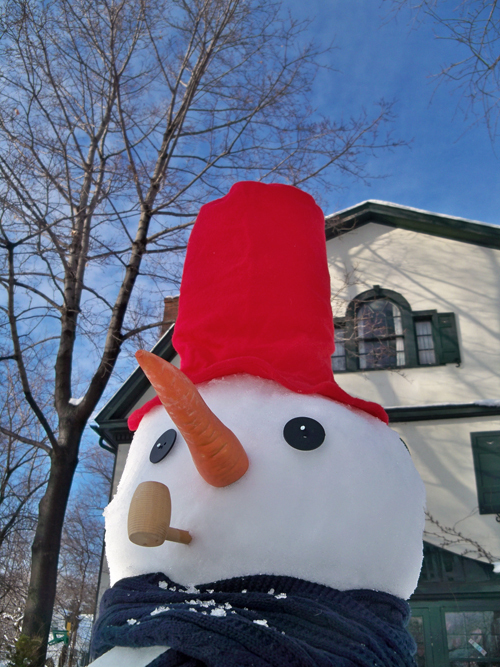 Our first snowman in the first house. He turned out pretty cute. This guy is pretty cute too. 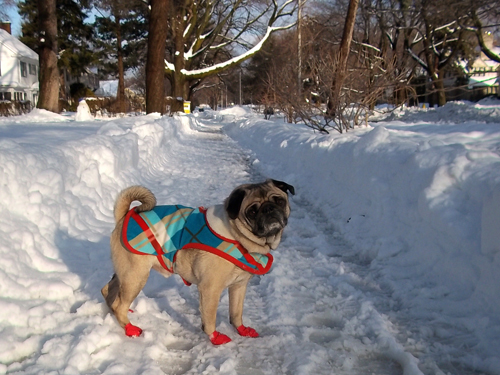 I know you mentioned them before, but the shoes on Oscar, what are they? My sweet pup is needing something for her paws now. thanks! WOW! That is a LOT of snow! 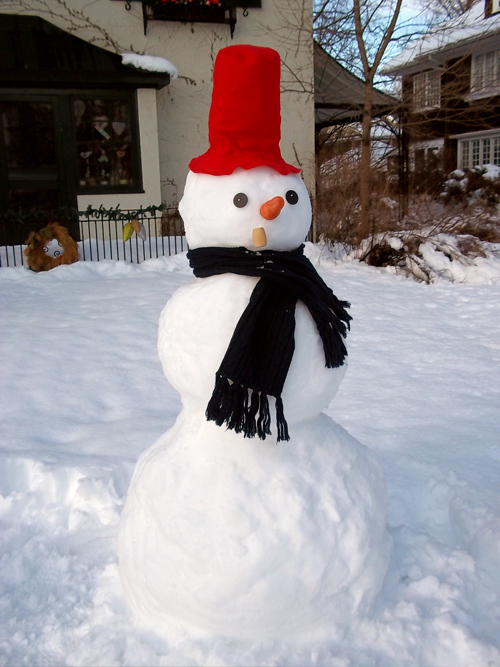 Your snowman is super cute! 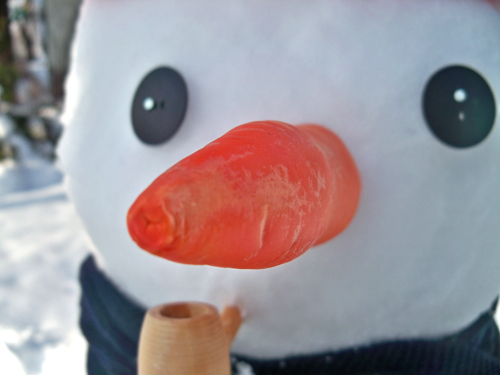 Is that a real carrot and corncob pipe? Or does Target have a "Snowman Kit" for sale? :-) Ahhh, thanks for the snowman! Lisa Marie - It was a snow man kit! A friend got it for me ages ago.